I don’t know about you, but winter months cause my skin to become parched. Yes, my skin becomes thirsty! My cleansers need to be in top working order, so my skin doesn’t miss a beat. I’ve dabbled in many different cleansers, but have found my 3 current non-toxic faves. I think you’ll find one, out of the three, that suits your skin too. After all, if you’re single your mug has to be rockin’ the “A” game, and if you’re married (like me)…well you just want to trick your husband into thinking you’ve still got it! *A little disclaimer…If you’re on a budget, which most of us are, I would stick to a smaller budget for a cleanser, and invest more into creams, and serums. Think about it, a cleanser is off your face in 20 seconds or less, and down the drain. However, serums and creams are the opposite. They stay on your skin the longest, and do majority of the work. These guys get the job done When it comes to anti-aging, repairing, and rejuvenating. invest in them. This has been a tried and true cleanser for me, whether it’s winter or summer. It really changes with the seasons quite well. First of all, I love the price. It’s $14.99, for a good sized tube, and usually you can find it on sale for 20% off. Not to mention, the ingredients are super pure. A lot of natural cleansers don’t foam, and many people who switch over from main stream products, have a hard time with this. They’re used to the ultra foaming cleansers that strip your face…ring a bell? Well, fortunately for all you foam lovers, this cleanser is for you. It offers a bit of foam, yet still creamy in texture, without stripping your skin. Have I mentioned the smell? Refreshing and clean. Removes all makeup, and leaves skin feeling clean but not tight. I would recommend this cleanser for those with oily/combination skin. 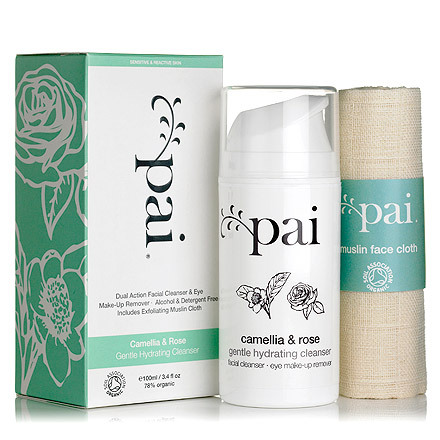 First off, the smell of this lovely cleanser is divine! It smells like tropical paradise…if that’s even a smell or possible. It’s texture is more oil like. Sorry all you foam lovers, this cleanser doesn’t foam. But I still love it! After cleansing, my face feels perfectly clean, smooth, and balanced. The price is a bit heftier than the previous Acure cleanser. At $38, it should deliver, and thankfully it does. Oh and it comes in a glass pump bottle, which my inner green goddess loves. If you’re skin is dry/combination this is your baby. Last but not least, the most hydrating cleanser of them all. This cleanser takes the cake when it comes to moisture! Skin feels so supple after using it. It removes all makeup easily, and even doubles as an eye-makeup remover. The formula is so gentle, it’s perfect for the most sensitive skin, and is great for calming redness. I love that it’s alcohol free too! It comes with a muslin cloth, meant to help remove any extra residue. It’s nice, but you could use a regular washcloth as well. 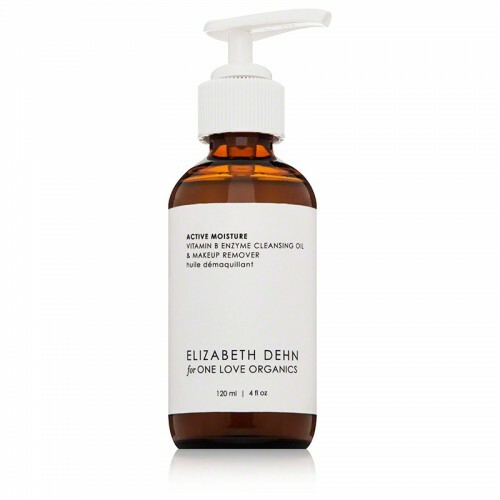 It is the priciest of all the cleansers at $50. Although the price is pretty steep, I will say for those who have struggled with sensitive skin, you may have found your needle in the haystack. I’ve heard countless testimonies from sensitive skin peeps who swear they have finally found a cleanser that works, and doesn’t irritate. A definite must for those who have dry/sensitive skin. There you have it, my top 3 current facial cleansers. What cleanser do you love? Leave a comment, would love to hear your feedback! I use the Acure argan oil + mint facial cleanser & love it! Thanks for the great info! Do you have suggestions for serums and facial lotion? Just found you instagram/blog and I’m loving it! Thanks for putting all your knowledge up here. Good! 🙂 Yes, those sound like great choices! Congrats on baby #2, how exciting! The Vitamin B Cleansing Oil smells so amazing and great for if your skin is feeling a little on the drier side. Yeah, I have used Juice Beauty in the past but wasn’t impressed unfortunately. It’s a bummer but a lot of the really great natural products can only be found online! Aww, thank you! Means so much. I hadn’t heard of Bioelements but I went to their website and read up on it. I don’t think it’s the best line and though they may seem natural, they’re not really. With ingredients like Sodium Lauryl Sulfates, PEG’s, Phenoxyethanol…just to name a few. They also have water as the first ingredient for a lot of their products, which always concerns me. Since the first ingredient is the most prevalent in the product it makes me think they are just filling it with a lot of water instead of active ingredients. I can put water on my face myself! 🙂 Do you find your skin is dry and easily irritated, maybe even sensitive? I don’t think the Narcissist Stick is that oily. I actually found it a little drying for me, but I tend to have more dry skin. I think you would like it! Tell me a little more about your skin…I feel like your skin could be really sensitive and varies between oily and dry patches? Sometimes people will blast their skin with all these harsh acids, especially with mainstream products because that is what everyones been taught. Your skin then produces more oil to compensate for it. It’s a vicious cycle! Thank you! I appreciate you checking it out! I have fairly oily skin and am prone to blemishes and redness around my nose and chin, but I do get dry spots on my cheeks and sometimes feel like my face needs a drink of water! lol. It can be somewhat sensitive, for example, years ago I was using Clinique (sad days) and it was BURNING my skin, even if I only used the moisturizer, it still burned my skin, I had to wash it off immediately! I really want to move all my skin care line to organic/pure products, so any ideas you have any specific recommendations that would be great! I have changed my hair care to John Masters and loving it, and I recently purchased the Acure rose toner, and I like that as well. I am needing a good facial cleanser and moisturizer right now. I also use the Konjac charcoal sponge a couple times a week, and the Acure facial brightening scrub. Thank you so much for the advice and recommendations! I would put them on before moisturizer! Hope this helps, if you have any other questions, feel free to ask.